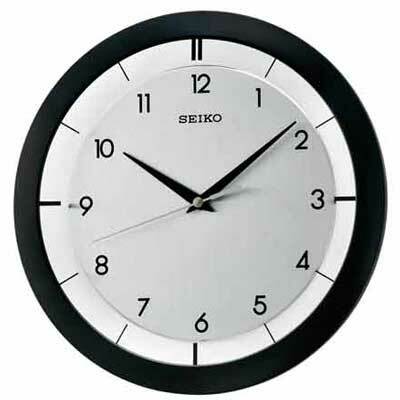 The Seiko QXA520KLH Wall Clock has a brushed silver-tone dial and black Arabic numbers give this Seiko clock a Contemporary look. The round dial with black hands allows easy reading. Black frame. Quiet Sweep movement has a second hand that moves in a continuous fashion with NO-TICKING. Uses 1 "AA" battery (included).